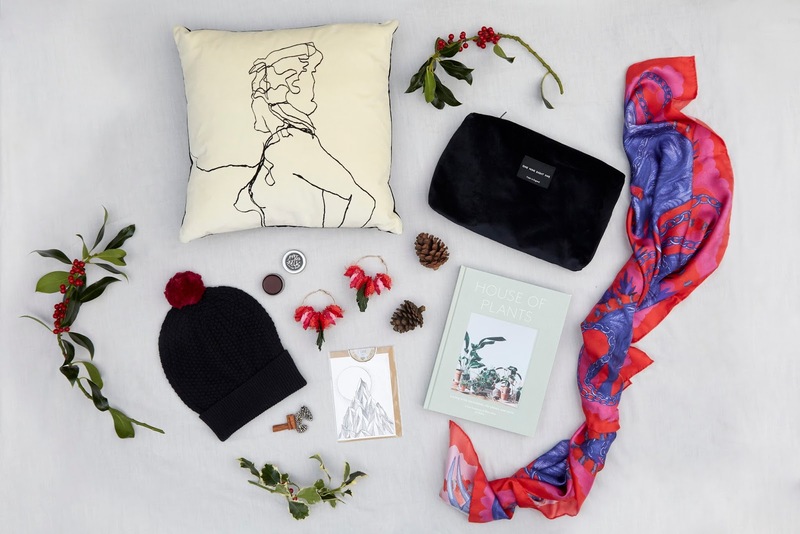 Though there are plenty of beautiful gift guides floating around, consciously and carefully created created, I'm not sure there are many focused solely on UK brands, curated solely by UK bloggers. For the final part of our Collaboration Over Competition Holiday Series, LITERALLY NATALY, ECO BOOST, SAIINT SISTERS, ETHICAL UNICORN, SUSTAINABLE EDIT, JELLA JORNALES, N4 MUMMY, and I created these three gift guides and my husband and I shot it in my brother's back garden in London one slightly rainy Sunday morning. If you missed our HOLIDAY LOOKBOOK, you can find it via the link here. Kate from ECO BOOST recently posted the video version which is dreamy and lovely as well (you can watch it HERE). We hope the curation below will inspire you to shop local, shop ethically and shop sustainably this holiday season, supporting small brands with your lovin' purchases. ECO + ETHICAL HOW? From Babies With Love provides beautiful organic baby gifts, which are both ethically and sustainably sourced with the softest 100% organic cotton. 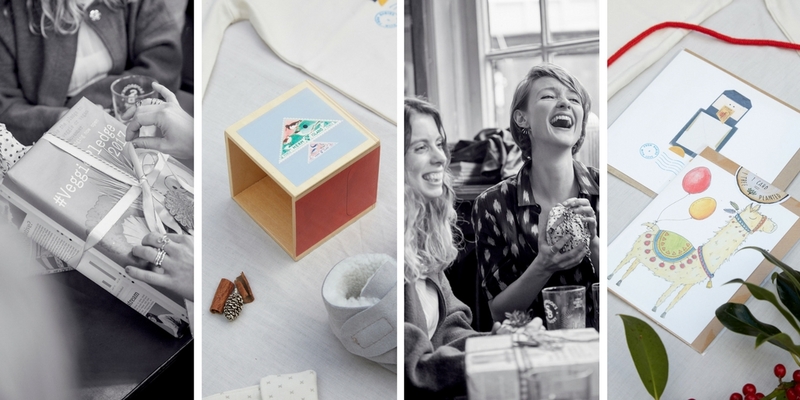 Their toys are made with wood from sustainable sources and all their products come in recyclable packaging as well. The brand is also philanthropic, donating every single penny of profit to organisations like SOS Children’s Villages and Street Child which help orphaned and abandoned children by providing them with a family, a home, education, healthcare and support to overcome trauma. It’s amazing and essential work. ECO + ETHICAL HOW? Every Celtic & Co item is made from carefully chosen, ethically sourced, natural and organic materials, the majority of which is produced in the UK. 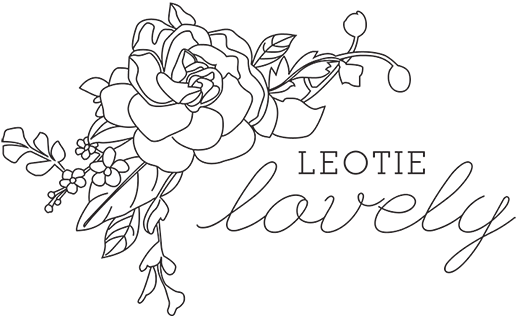 ✵ 10% DISCOUNT and free delivery using code: LEOTIE10 until 21st December 2017. ECO + ETHICAL HOW? Planting one tree for each card sold, Little Difference is an eco-friendly stationery brand providing greeting cards, notebooks, and prints inspired by nature. 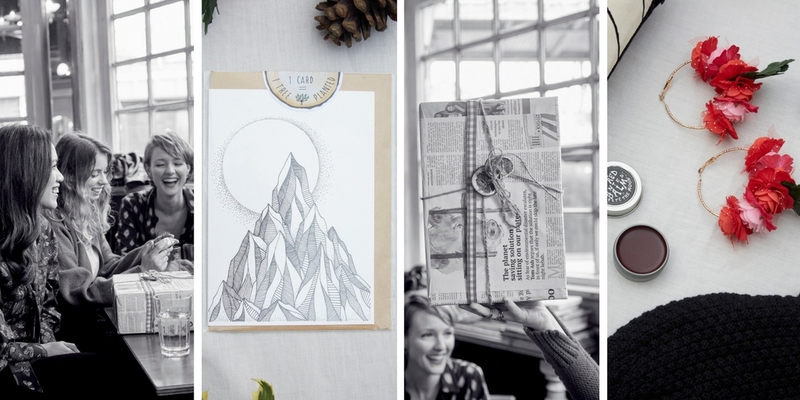 All of their products are made using 100% recycled paper and 100% biodegradable packaging. ECO + ETHICAL HOW? Created with the belif that heath , well being and beauty should be treated by a 360 approach, 59 Lifestyle is both a brand and a wellness centre in London's Mayfair. Their products include notes of green mandarin, jasmine, coriander and ylang ylang amongst other natural ingredients which recreate a harmonious feeling that ultimately enhances our wellbeing. Their products are also free from sulphates, parabens and harsh additives, perfect for creating an environment of harmony and balance for anyone yearning a peaceful soulful lifestyle. ECO + ETHICAL HOW? Since 1996, Greenfibres has been making and selling organic textiles. Created by William and Gabriela Lana, the brand was created to offer beautiful and useful textile products that are kind to the environment and to our health, produced with the intention of providing meaningful livelihoods for everyone who works with and in Greenfibres. 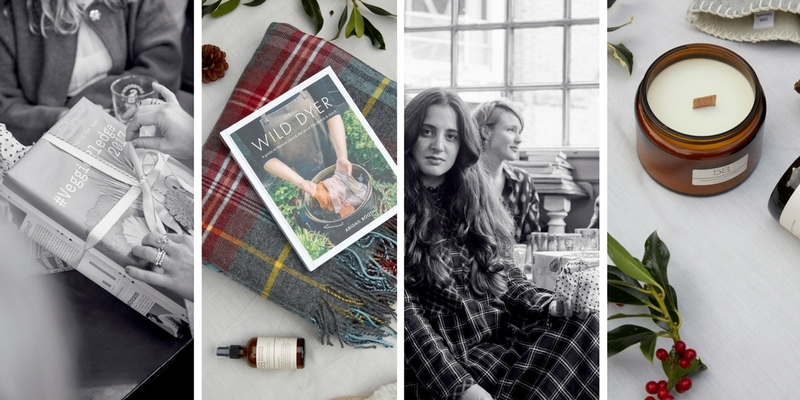 They have a bricks and mortar store based in Totnes, Devon, which is sure to draw you in with their consciously created collection of products including socks, clothing, organic and natural mattresses, natural cleaning products, duvets, pillows and toiletries. Expect a low-key, Totnes vibe that is hard to resist. ECO + ETHICAL HOW? The Future Kept stocks a range of well designed, high-quality and meticulously chosen homeware and gifts, carefully curated from independent designers, makers and artisans who are creating products that are better for our world. ECO + ETHICAL HOW? Ally Bee creates her knits with a clear cradle-to-cradle story in mind producing each collection with a set of environmental standards that go beyond mere compliance. You can read more about Ally Bee here. ECO + ETHICAL HOW? Founded in 2016, Gung Ho Design combines a whimsical aesthetic with designs that are versatile, high quality, and filled with deeper meaning and purpose. 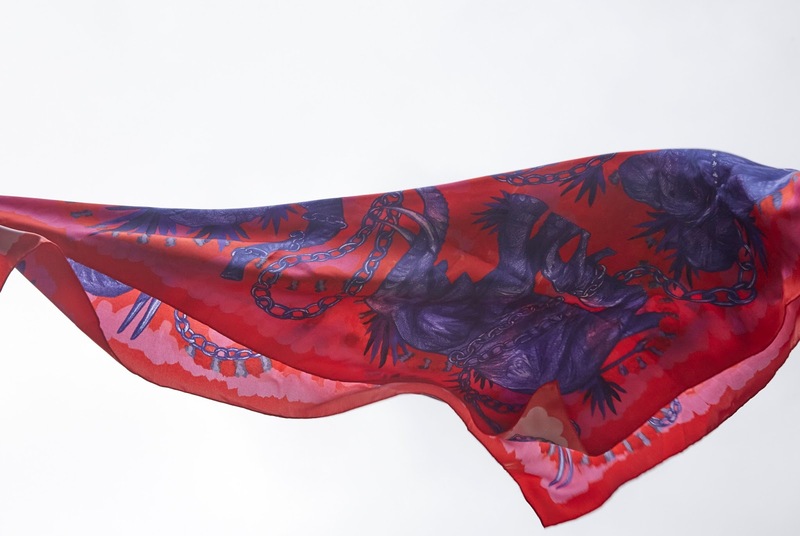 Each print is designed by hand by founder Sophie Dunster; created to be both beautiful and to connect people with environmental issues through the designs themselves. ECO + ETHICAL HOW? Thought Clothing, as the name suggests, is a collection of thoughtfully made items which are both ethical and sustainable, for women and men. They use naturally grown bamboo, cotton, wool, tencel, modal and hemp, all free of harmful pesticides and chemicals and sourced responsibly. SPONSORED POST: This post was sponsored by multiple brands, each of which we personally selected and approached for this collaborative post. The story, including all content, experiences, suggestions and opinions, are shared by myself and my collaborators. We borrowed and returned every item seen in this post.